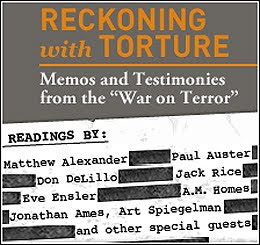 Audio, video, and transcripts from PEN America’s recent “Reckoning With Torture” event are now online. Among the speakers were Nell Freudenberger, Don DeLillo, George Saunders, Jonathan Ames, and Paul Auster. To celebrate Hallowe'en, the SF poetry Association has put together an online audio Halloween poetry reading, of poems spooky and otherwise. 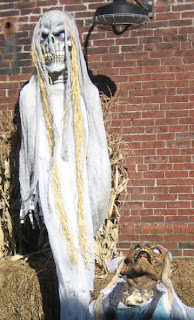 If haiku are more to your liking, then check out the Haiku Foundation's Halloween Masque. And have a happy Hallowe'en! Cleveland poet (and fellow clevelandpoetics team member) T. M. Göttl just started writing an online column for the Examiner.com, the Cleveland Poetry Examiner. Her first article reviews the recent first anniversary of the Lix 'n Kix poetry reading series (currently at Bela Dubby in Lakewood, every third Tuesday, 7pm). She plans to write about poetry events, open mics, and other topics that might be pertinent to writers and poets in NE Ohio, posting a couple articles every week. So, take a look, and if you have suggestions for topics that should be covered, you might drop her a note! But, well, if it comes to that, I wasn’t tormenting the poodle; I was just swinging the dish. Why fake when your heart sings true. Since then (thanks, google) it's a form that seems to have been picked up by a number of other poets. or does someone else perhaps? Each additional stanza adds repeats the previous one, then adds a single additional line, one which changes the meaning of the piece, so that the stanza, with all the lines read together, still reads as a complete sentence. (Or several complete sentences). Repeat for as many lines as desired. Done well, each stanza mutates the sense of the previous sentence, changing or even reversing the meaning. We can’t go on living. We can’t go on living as if nothing has happened. We can’t go on living as if nothing has happened. War, hunger, despair must be faced. We can’t go on living as if nothing has happened. War, hunger, despair must be faced with peace, justice, and love. and you have not barred the door. *In Anderson's rules, he also says that you shouldn't use homophones to mutate the meaning-- changing "there" to "they're" would be a rule-breaker. But then he admits that he sometimes does it himself. So it may be a flaw, but not a fatal flaw. An interesting discussion popped up over on Facebook initiated by Clevelandpoetics - the Blog contributor Runechris under the title question "Is Poetry Relevant?" This reminded me of Dana Gioia's essay Can Poetry Matter? Here are six proposals he offers at the end of his essay which he believes could bring poetry into the mainstream. Comments please. 1. When poets give public readings, they should spend part of every program reciting other people's work—preferably poems they admire by writers they do not know personally. Readings should be celebrations of poetry in general, not merely of the featured author's work. 2. When arts administrators plan public readings, they should avoid the standard subculture format of poetry only. Mix poetry with the other arts, especially music. Plan evenings honoring dead or foreign writers. Combine short critical lectures with poetry performances. Such combinations would attract an audience from beyond the poetry world without compromising quality. 3. Poets need to write prose about poetry more often, more candidly, and more effectively. Poets must recapture the attention of the broader intellectual community by writing for nonspecialist publications. They must also avoid the jargon of contemporary academic criticism and write in a public idiom. Finally, poets must regain the reader's trust by candidly admitting what they don't like as well as promoting what they like. Professional courtesy has no place in literary journalism. 4. Poets who compile anthologies—or even reading lists—should be scrupulously honest in including only poems they genuinely admire. Anthologies are poetry's gateway to the general culture. They should not be used as pork barrels for the creative-writing trade. An art expands its audience by presenting masterpieces, not mediocrity. Anthologies should be compiled to move, delight, and instruct readers, not to flatter the writing teachers who assign books. Poet-anthologists must never trade the Muse's property for professional favors. 5. Poetry teachers especially at the high school and undergraduate levels, should spend less time on analysis and more on performance. Poetry needs to be liberated from literary criticism. Poems should be memorized, recited, and performed. The sheer joy of the art must be emphasized. The pleasure of performance is what first attracts children to poetry, the sensual excitement of speaking and hearing the words of the poem. Performance was also the teaching technique that kept poetry vital for centuries. Maybe it also holds the key to poetry's future. 6. Finally poets and arts administrators should use radio to expand the art's audience. Poetry is an aural medium, and thus ideally suited to radio. A little imaginative programming at the hundreds of college and public-supported radio stations could bring poetry to millions of listeners. Some programming exists, but it is stuck mostly in the standard subculture format of living poets' reading their own work. Mixing poetry with music on classical and jazz stations or creating innovative talk-radio formats could re-establish a direct relationship between poetry and the general audience. The history of art tells the same story over and over. As art forms develop, they establish conventions that guide creation, performance, instruction, even analysis. But eventually these conventions grow stale. They begin to stand between the art and its audience. Although much wonderful poetry is being written, the American poetry establishment is locked into a series of exhausted conventions—outmoded ways of presenting, discussing, editing, and teaching poetry. Educational institutions have codified them into a stifling bureaucratic etiquette that enervates the art. These conventions may once have made sense, but today they imprison poetry in an intellectual ghetto. Which of these steps do you think are the most important - the hardest to accomplish or just off base? 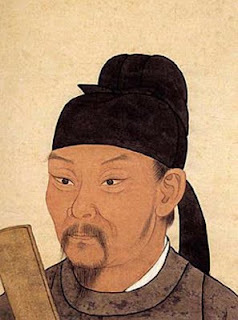 Here's YouTube I created to bring ancient poet Tu Fu to America. We need his voice. Just decided to share this today. before the cries of birds. crowded with bodies and voices. make my way south in the night. where farms nest of rocky hills. Once an hour a pick-up may pass. Here time isn’t measured so. call to neighbors to sit a while. till I ask them for a drink of water. eyes meeting across porch steps. cool shade across my lap. spring water in a clear glass jar. in a land I was meant to know. they wait for me to speak. 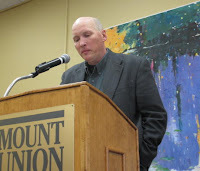 Stephen Haven of Ashland University was named the Ohio Poet of the Year (see my previous post)* for his newest poetry collection Dust and Bread, and, as part of the Ohio Poetry Day celebration, gave a reading at Mount Union College on October 18. Haven's reading featured work from the prize-winning collection, and also some more recent work, poems about being a single father, poems about China, poems about growing up as the kid of a preacher in the Mohawk Valley (including a sestina about being snowbound with a bishop, which I found quite a tour de force). His reading was alive with alliteration and clever internal slant-rhyme. The Ohio Poetry Day event included a lot more than just the reading by the poet of the year. Following the reading and signing by Haven, the winning poems from the Ohio Poetry Day contests were read. 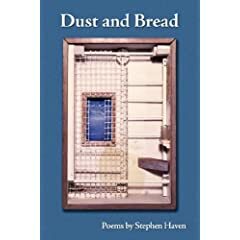 find Dust and Bread by Stephen Haven at Mac's Backs, along with other books by Steven Haven. *one of two Ohio Poets of the Year in 2009. Although it's unusual for the award to be split, this year Terry Hermsen and Stephen Haven share the honors of Ohio Poet of the Year. **Two of which I won. Yes! Too bad that the art of writing poems fast is not necessarily the same as the art of writing good poems. Today is Ohio Poetry Day! In 1938, the State of Ohio set the third Friday of every October as Ohio Poetry Day. This was the first poetry day established by any state government in the United States. 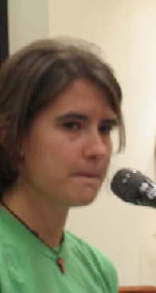 Tessa Sweazy Webb spent thirteen months lobbying the Ohio General Assembly to create Ohio Poetry Day. She argued, "For each living reader a living poet, for each living poet a living reader." After Ohio approved Webb's idea, other states adopted a day dedicated to poetry as well. Today take time to do something nice for a poet. May your Ohio Poetry Day be truly poetic! See you in Alliance tonight! Calling All Ohio Writers! Rubbertop Review: An Annual Journal of The University of Akron and Greater Ohio blends tradition with innovation and is looking for excellent craftsmanship in fiction, poetry, and creative nonfiction. Each issue of Rubbertop will feature 1/4 of its content from undergraduate and graduate students at The University of Akron. The remainder of the journal will feature the very best of work by writers living in Ohio. We will consider submissions from any Ohio resident. No university affiliation is required; we solely consider the quality of writing and the passion for the craft. Submissions are accepted September 1 – February 1. – No attachments, please. Paste your submission directly into the text of your e-mail. If your work is accepted we will ask for an electronic file. – Electronic submissions only. Please e-mail the appropriate editor and in the subject line put your name and genre (i.e., Fiction – Jane Smith). Akron students should make their affiliation clear in the subject line (i.e., UA Poetry – John Smith). As we are a small journal, please respect our ability to only give payment of one (1) contributor’s copy for accepted pieces. All authors included in each issue will be invited to read their work at our annual release party in the spring. Rubbertop Review holds an annual essay contest for undergraduate students at The University of Akron. 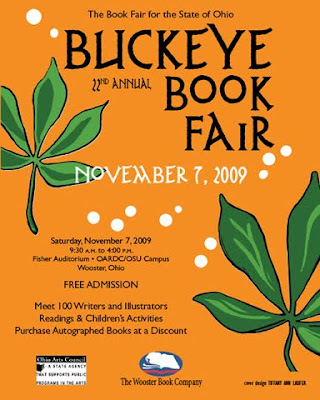 The contest is always judged by an accomplished Ohio writer. Information on the contest for volume two of the journal will be forthcoming in September, 2009. 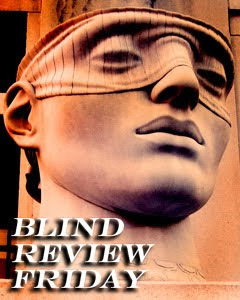 Editor.Rubbertop@gmail.com, or Rubbertop Faculty Advisor Eric Wasserman at EW22@uakron.edu. Monday, October 26, 7:00 p.m.
Lynne Sharon Schwartz’s most recent book is the memoir, Not Now, Voyager. Among her 21 books are the novels The Writing on the Wall; In the Family Way, Disturbances in the Field; Leaving Brooklyn (nominated for a PEN/Faulkner Award) and Rough Strife (nominated for a National Book Award).. She is also the author of three story collections; the poetry collection, In Solitary; the memoir, Ruined by Reading, and the editor of The Emergence of Memory: Conversations with W.G. Sebald, a collection of essays and interviews. Her work has been reprinted in The Best American Short Stories, The O. Henry Prize Stories, The Best American Essays, and many other anthologies, and her reviews have appeared in leading magazines and newspapers. Ms. Schwartz has translated several books from Italian, including A Place to Live: Selected Essays of Natalia Ginzburg, and Smoke Over Birkenau, by Liana Millu. With the heart of the fall hitting us, October 16th and 17th in Cleveland will show more than just a season as writers and readers converge that Friday night at 7 p.m. at The Morgan Conservatory, and Visible Voice Bookstore at 7 p.m. Saturday night. The Morgan Art of Papermaking Conservatory and Educational Foundation is an Ohio non-profit art center dedicated to the preservation of handmade papermaking and the art of the book. Morgan Conservatory pursues its educational and charitable purposes by serving the greater community locally, nationally, and internationally with sustainable practices in an innovative green environment. They host art classes, workshops, internships and lectures from professionals across the country year round. Habitat: Tremont, recovering in a womb/nest. Smith's art, thrift store lazy boy & flowery sofa covered in Mexican blankets. I yearn for the novelty of other countries but I really don't want to be anywhere else but here, now. I miss the place Smith lost, his old place down the street. I'm trying to recreate it here. This building we live in's got a creative vibe. Heavy metal musicians practice in the basement. It's a good place for insanity. There's continuous traffic noise from Scrapyard Commons and the freeway, and it feels like a kind of reassurance that civilized activity goes on, though I don't know how we're maintaining it. I want to ride on the highway for the heck of it like I used to, a midnight orange streetlight innocent anticipating wow around Dead Man's Curve. Range: Looking at the rug in Mac's Backs basement, the hi & bye in passing at Lix & Kix, Lawn Poet Society at the Brandt, the storage room at the Literary Cafe. Diet: Poetry? Local, authentic. I look for revelation, manna from God. 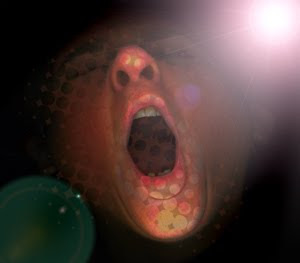 Or raw awful truth– what's really inside your head, not what you aspire to. Though Mark Ireland recently asked me if truth and beauty were at odds with each other and I said no. Steve Smith saved my life with truth & wisdom & kindness & vision. “Work rolling rock, returning, dirt burning.” Other authors: anything I include in thecitypoetry.com is a lesson for myself, something I want to preserve for myself. It takes a long time, effort for me to develop an ear for someone–only now have I started to appreciate Daniel Thompson. I like Coen Brothers movies for the dialogue. I like stupid comedies. I really liked the movie Sunlight for pure beauty and a kind of rarified sci-fi gestalt. Sci-fi was my original love but a lot of it seems immature now. Bladerunner used to be my favorite movie. I watch a movie every day. I don't have passion for them anymore, though. Since writing a book with Smith, watching movies doesn't satisfy, and poetry doesn't satisfy. I want to do something big. Working with Smith was the best thing I ever did, the most satisfying, and I hunger for an experience like that again. I feel like the promise of revelation will come via creating my own work rather than passively reading or watching someone else's work. Other work does fertilize my mulch pile, but my ego wants my truths to emerge a priori, sui generis. Distinguishing Markings: The City Poetry Zine (www.thecitypoetry.com), Criminal by Smith & Lady (unpublished), sometimes anthologies by Bree. My poetry sometimes appears in Wendy Shaffer's blog, House of Cats (http://poetjungle.blogsome.com/), and Jesus Crisis has posted some of my poems in his online library (http://library.crisischronicles.com/). My blog walkingthinice.com contains some of my raw output. Agentofchaos.com's got some older stuff. Predators: Painful, pain! Zen Buddhas. Beautiful women who take my breath away with their power when I try to look in their eyes. Real people. Young, intelligent people. Upright people. People with opinions. Judges and Empaths. Prey: The casual casualties of my inability to hold it together, like you got to juggle balls to be with people, you gotta have some anti-gravity, and I just don't got that, bootstraps require too much tension. My goal is to be calm, I'm learning how to unbind the braid I hold in mind. I feel prima donna pain and shame, complicit but well-meaning, I want no ugly feelings but they're there. I want to be faithful to truth yet leave so many errors hanging. 12 year olds, each other's context, our words were boys. In celebration of the coming of the Hallowe'en season, check out the Darkly Gothic poem generator. Go ahead: write your own Eternal Love of Vampires Darkly Gothic Poem. Or a Supernatural Violence & Horror Darkly Gothic Poem. Or even a Black Abyss of Righteous Hatred Darkly Gothic Poem. You probably won't get something you can submit to the Vampyr Verse poetry anthology... but I suppose you can always try. doesn't mean that they're not watching you. in the MFA program, worry not. Cleveland's got a moderate number of places around town where a beginner can learn writing, or someone who's more adept can hone their craft or learn a new style or a new genre. The Cleveland Literary Center-- "The Lit"-- is always one good place to look for courses. They've kicked off their fall schedule of classes and workshops, but some of their courses haven't started yet. For example, they just announced a one-day course "The Memoir & The Memoirist," with Thomas Larson, Saturday, October 31. And, in addition to their ongoing every third Friday poetry workshop (7:30pm at Mac’s Backs on Coventry), they've recently started a LIT Book Club, 4th Sundays of Every Other Month, also at Mac's Backs, and a Public Fiction Workshop With Paula McLain, on the third Thursday of every month, 6:30pm at Trinity Common. The workshops are free, by the way, if you don't have the cash, although if you do have funds, there's a suggested voluntary donation of five bucks to keep the workshops going. Bookmark their page to keep up to date with offerings. If you're interested in fiction, a little further west, check out "Creating Captivating Fiction: Learn to grab your reader’s attention, build narrative excitement, and finish with a dramatic climax," being offered Tuesday evenings by the Berea Community Education, taught by Mary Turzillo (who's a fiction writer, as well as a poet). Dates: 7:00- 9:00: Six weeks: Tuesdays, starting October 13, Berea High School. For enrollment information, call 440 239 5909, 8 AM to 4:30 PM or fax 440 234 2309- or look on page 4 of the brochure. That's barely even the tip of the iceberg-- I know that there are a lot more writing classes open to the public going on in the Cleveland area. If you're teaching one-- or taking one-- why not post it here and let us know? The cartoon is by Dave Walker, who says: "find more cartoons you can freely re-use on your blog at We Blog Cartoons"
On Ohio Poetry Day, Terry Hermsen and Stephen Haven will be named the (co) Ohio Poet of the Year*. 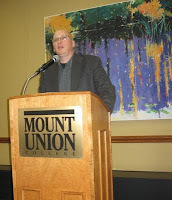 Stephen Haven will be reading at the Ohio Poetry Day celebration at Mount Union College in Alliance, on October 17. Stephen Haven, a professor at Ashland University, was chosen for his book Dust and Bread. (For a review, and some sample poems, look here). 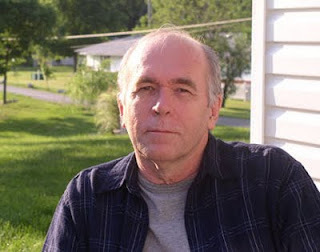 He is also the author of one earlier collection of poems, The Long Silence of the Mohawk Carpet Smokestacks, and of a memoir, The River Lock: One Boy’s Life along the Mohawk**. 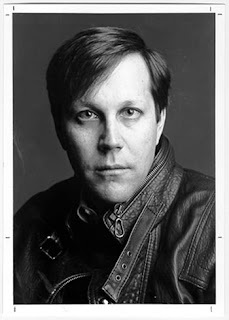 Terry Hermsen, on the other hand, won't be at the Ohio Poetry day celebration-- but he's got a good excuse: he is currently doing a poetry residence in Chile! 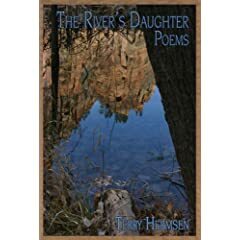 Hermsen was chosen for his book The River's Daughter, from Bottom Dog Press. 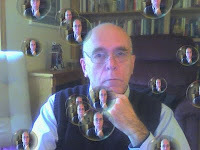 Hermsen lives in Delaware, and teaches at Otterbein College. He is the author of several previous books of, and about, poetry. * This is the fifth time in the last 30 years that the poet of the year award is split between two Ohio poets. **A review of The River Lock: One Boy’s Life along the Mohawk, from Contrary Magaine, can be found here. Green Panda Press Announces the forthcoming book by Bree and Akol Ayii Madut Sleeping With the Sun In His Eyes. Here is an excerpt--to pre-order a copy, or become a patron of the book go here. When Akol first arrived in Cleveland, Ohio, and stepped off the plane what he saw was everywhere wheat flour. He knew before he came here most American people had plenty to eat. Still he was truly amazed to discover such surplus. Here, he marveled, people left their wheat flour to just sit in great piles everywhere on the ground. 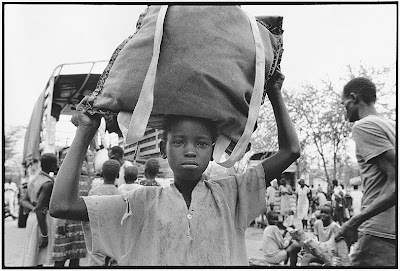 Akol wondered if they had run out of the sacks used for holding the flour. “Welcome to America,” the woman smiled her brightest at him. Akol couldn’t wait to get outside. Immediately he knelt down to take some of the wheat flour in his hands. The flour was freezing cold! It began to melt away down through his very grip, making everything wet and cold. His hands, even his knees were wet. Brrrr! He dropped the melting flour to the ground. This place was unreal. Here in this new city, as it was in a desert mirage, the hulking piles of food disappeared at the touch. I will be getting used to this and more, he told himself. He went to join up with his entourage: the local director of Catholic Charities, a case-worker, and a native-speaker—a woman who turned out to be his sister were among those who escorted the second Sudanese Lost Boy into cold Cleveland. I've mentioned in passing what I think poetry "should be". Having just wrapped up another year's work on an annual concert/art fest/cancer benefit in which I'm involved every September, I've seen first hand how art can be used in service of a cause. Even Cleveland's poetry community has organized benefit readings, like the one Bree hosted to benefit the Lost Boys here in Cleveland. Art in general--I think--should eventually serve a cause beyond itself. For example, love him or hate him, you can't deny that Bono has used his music (and the international fame he's gained through the music) to draw attention to issues like world poverty. I think that art exists for more than just itself, even if that "other" purpose is nothing more than drawing a couple people together, opening one person's mind to a new thought, communicating, connecting. And if the artist has the opportunity and ability to go beyond that--enacting societal change, awareness, enlightenment--doesn't he have that obligation to do so? In the past, when I've stated that opinion, many people have disagreed, arguing (and I'm paraphrasing here) that poetry should be for love of language, for the artist, for the sake of the art and nothing more. But isn't art communication? If there is no one to whom the artist wants--or will allow--the art to communicate, is it even art? Is a poem that's written and hidden in a drawer, never to be seen or heard, a poem? So I really want to know, in your mind, what "should" poetry be? I've been struggling with something that maybe some of you share. I am a Cleveland area writer, among other things including a teacher, editor, reviewer, biographer, and publisher. I think it's the latter that gets me in trouble as a writer. So many of the folks that I have published continue to see me as a "publisher" first, and maybe I can understand that, but I can't accept it because I am a writer first. In fact that's how I got into the publishing side...because I could see how things might be done better and how many good writers were being excluded. And so I and some others founded Bottom Dog Press back in 1984...25 years ago. I do want to clarify that I am not alone in this. In Cleveland we have many writer-publishers: including folks like Jim Lang, Bree, Mark Kuhar, Michael Salinger, Rob Smith, Claire, many really. And I'd just like to clarify for you fellow writers, that we see ourselves as writers first and would appreciate that kind of acceptance. We shouldn't have to leave the area to be seen as the writers we are. I remember interviewing Lawrence Ferlinghetti for the biography I did on him, and he confessed to me that one thing about Jack Kerouac that bugged him was that Kerouac insisted on thinking of him as a bookseller, the smiling book man. Thing is we do that service to writers at some expense...time chiefly...and we'd like to be appreciated for who we really are. That's it, that's what's bugging me too. What do you think? Major poetry reading – literally. Maj Ragain has taught creative writing at Kent State University for more than twenty years. During that time, he has hosted a monthly series of open poetry readings at Brady’s Cafe in Kent. He has published four books of poetry, most recently Twist the Axe: A Horseplayer’s Story, a collection of poems, journals and illustrations. 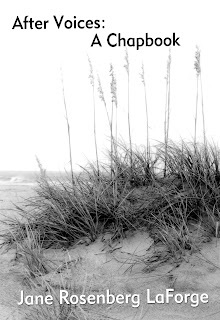 A recipient of three fellowships from the Ohio Arts Council, Ragain held a fellowship at the Fine Arts Work Center in Provincetown, Massachusetts during the summer of 2001. He hosts a monthly open poetry reading at the North Water Street Gallery in Kent, Ohio. Tim Joyce graduated from Cleveland State University and began a career interweaving journalism and teaching with the fine arts of painting, poetry, and music. He earned a Masters Degree in Anglo-Irish literature from University College Dublin, and spent seven years in Hollywood with the Motion Picture Association of America. In 1992, Joyce was a visiting lecturer in American poetry at the John F. Kennedy School in Berlin. He has published three volumes of poetry: Those Lucky Days, Flowerthief and Language Animal: New and Collected Poems. As a recipient of a NEH Grant Joyce studied as a Harvard Fellow with poetry critic Helen Vendler. His most recent work, Himself, is a collection of songs. A painter and musician, Joyce lives on Cape Cod where he teaches high school English. 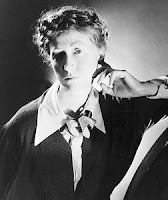 Marianne Moore's poem "Poetry," I never realized that she was, well, somewhat obsessed by it. According to Robert Pinsky, writing in Slate, "I've never been completely sure what I think about Marianne Moore's celebrated poem "Poetry." Apparently, Moore had similar feelings—revising the poem many times across the span of five decades. 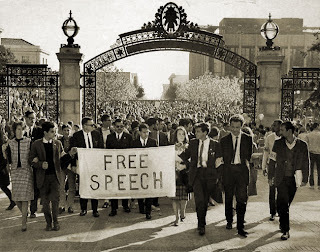 (You can find a couple of unpublished revisions here, courtesy of my friend and colleague Bonnie Costello, an eminent Moore scholar.)" Now I revise my poems, and sometimes, I'll change a word years later, but after it's done, man it's done. The poem is the way the universe wants it. If you catch me revising anything over five decades, just shoot me.